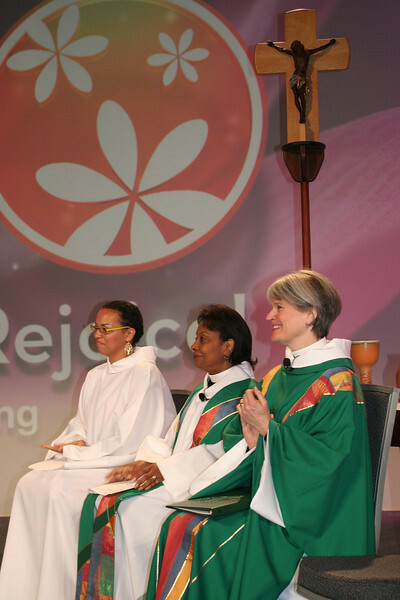 At Friday morning's opening worship, Romi Pierce (far left) read the lessons. The Rev. Wyvetta Bullock (center) preached, and the Rev. Susan Briehl (right) presided. It was a powerful Spirit-filled Thankoffering service!